Ring News 24Boxing News Breaking Boxing NewsIs this the last chance for David Price to prove he can mix it with the top heavyweights? 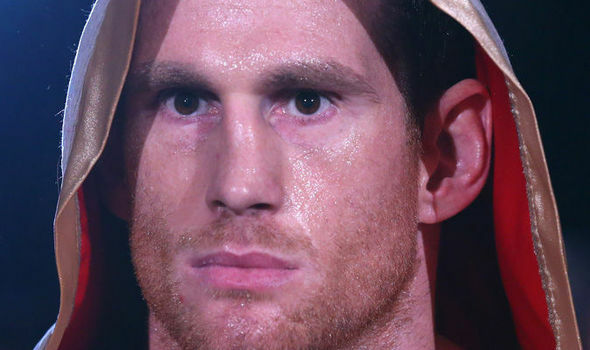 Can David Price mix it with the top heavyweights? I’m afraid my answer is no. While Price has plenty going for him, like size, reach, crunching power and the fact he appears to be a genuinely humble and nice guy, he possesses gaping flaws in his game that have resurfaced time and time again and show no sign of abating. Despite all of this, many people still give David a good chance against division kingpin Anthony Joshua and believe he should get the call to face AJ in the near future. Price is nothing if not a trier and is racking up the comebacks. After turning pro in 2009 and mopping up at domestic level, manager Frank Maloney decided that the time was right to put the big Liverpudlian in to his first major test in his hometown, in 2013. Opponent Tony Thompson was a hefty step up for the 6’8” puncher, having twice fought Wladimir Klitschko for world titles and the tall, strong American southpaw was still fit and active. Despite a solid start Price was felled in round two by a right hook to the temple that splayed his legs and even when the big man rose, he was badly shaken and swaying like a washing line in the breeze. Price attempted to exact immediate rematch revenge in the same year against Thompson but once again he was found out. This time the gas tank failed Price as he was unable to build on a second round knockdown and was stopped in the fifth. Back-to-back defeats left his promising career suddenly in tatters. Could the big-punching behemoth bounce back? A string of low-key wins pushed Price back in to the conversation and promoters are never too quick to write off a 6’8” heavyweight who can bang a bit. Signing up with the Sauerlands meant a few rebuilding scraps in Germany and a shot at the vacant European crown against Erken Teper. Struggling to handle the marauding Teper, Price’s deficiencies were once again exposed as he got laid out in the second round and was left seemingly with nowhere else to turn. Teper later tested positive for a banned substance and suddenly a convenient narrative was presented to help rehabilitate the Merseysider back into a viable contender. Over the years a sparring story that suggested he had done particularly well against Anthony Joshua kept on surfacing and leaving the faintest of hopes that Price would snare a big payday against British boxing’s golden boy. A WBO European heavyweight clash with reasonable but limited Romanian Christian Hammer in early 2017 was perceived as a last chance saloon opportunity for Price. Once again even though his jab worked well and he showed glimpses of promise, Price badly ran out of steam and suffered his fourth loss, all by knockout. He cut a sad figure, clinging to the ropes in a fit of extreme fatigue. The body of evidence is damning when it comes to assessing the future for David Price. Trainers, managers, promoters will come and go, thinking they can resurrect the big heavy and turn him into a force. No doubt he has the attributes to make a dent in anyone but his flaws are glaring and show no sign of disappearing. This is why I believe he will never be able to mix with the world class fighters in his weight class. That said, there is a chance he could have a few more shots at getting to the top, given the nature of a sport where there is always a need for a heavy-handed unit.